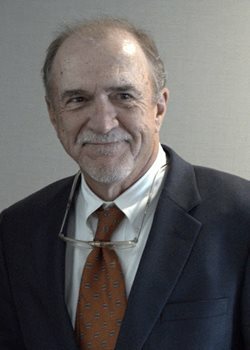 Wallace G. (Buster) Holland is the former chair of the firm’s Workers’ Compensation practice group and has a preeminent reputation in South Carolina for handling and mediating workers’ compensation claims. Buster is a Circuit Court Mediator who concentrates his practice on workers’ compensation cases throughout the State of South Carolina. He served on the South Carolina Workers’ Compensation Commission’s task committee, which drafted proposed regulations requiring mediations in certain South Carolina Workers’ Compensation claims. Buster has been recognized by South Carolina Super Lawyers and included in The Best Lawyers in America for many years. He is rated A+ by Martindale-Hubbell and is a recipient of the Lifetime Achievement Award by the South Carolina Workers’ Compensation Educational Association. Buster was also named Lawyer of the Year for Workers Compensation Law – Employers for 2017 by Best Lawyers in America. Buster was inducted into the SC Chapter of The National Academy of Distinguished Neutrals. The Academy is an invitation only organization for top-tier attorney mediators and arbitrators. Please check the calendar below for availability. Click your preferred date to send our office a Date Request form.